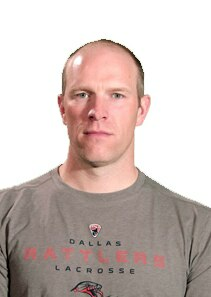 Bill Warder has been named as the Head Coach and General Manager of the Dallas Rattlers after spending the last seven seasons as the Rattlers Assistant Coach under Tim Soudan. The Rattlers were MLL finalists in 2015 and 2016. Warder was also the assistant coach with former Head Coach BJ O'Hara during the 2006-08 seasons. The Rattlers won the MLL Championship in 2008. While coaching in Rochester, multiple Rattler players were selected as the MLL Offensive Player of the Year, Defensive Player of the Year, Goaltender of the Year, MLL League MVP, Playoff MVP, Season Points Leader, All-Star Game MVP and MLL Rookie of the Year. Warder, who has coached at Hobart College, University of Hartford, Geneva High School and Avon Old Farms School, was a standout player at Hobart College. He can also draw from four seasons of professional playing experience with both the National Lacrosse League and Major League Lacrosse. Warder spent two seasons as assistant coach at Hobart College. The Statesmen won the 2000 Patriot League Championship and earned a NCAA Tournament berth. A four-year member for the Hobart College lacrosse team, Warder helped the Statesmen to a Division III national championship in 1993 and a runner-up finish in 1994. He posted a 26-8 record as a starting goalkeeper. Warder’s professional career spanned four years as he played for a variety of teams. He played in the NLL for the Buffalo Bandits (2000), Columbus Landsharks (2001) and Rochester Knighthawks (2003). He was also drafted in the 12th round by the MLL’s Bridgeport Barrage in 2001 and played one season as a midfielder. Warder currently resides in Geneva, NY with his wife Miranda and their four sons Owen, Graeme, Colin and Beau. Bill is the Senior Associate Director of Admissions with Hobart and William Smith Colleges. Long-time assistant under Coach Tim Soudan for the Rochester Rattlers. Montes was inducted into the Greater Rochester Chapter of the US Lacrosse Hall of Fame on Friday, November 2, 2016. Graduated from Hobart College where he won three national championships in lacrosse. Physical Education teacher with the Fairport Central School District. Coach for Fairport High School’s lacrosse and football teams. Boltus comes to the Rattlers coaching staff after a successful career as a player for the former Rochester Rattlers. Boltus, an army veteran, played in MLL from 2011-2013 and 2015-2017. In 2011, he was named the Cascade Rookie of the Year and was a 2015 MLL All-Star selection. Like head coach Bill Warder, Rich Moses attended Hobart College and played lacrosse. As a coach, he received the 2015 HEADstrong Relentless Spirit Award, the 2015 THSLL DII North Assistant Coach of the Year award and the 2016 THSLL Person of the Year award. Moses currently serves as the head coach of Highland Park's DI boys lacrosse team.